Twisty-turning consipiracy thriller Utopia is back for a second series, starting tonight on Channel 4. In a typical convention-defying move, the first episode of the new series takes us back to before the first series took place, starring one Rose Leslie taking on the Milner role, four decades earlier. "As a really big fan of the first season, I thought it was a brilliant idea," said Leslie. "It basically takes us back to the 1970s and shows us where it all began. We get to see Milner as a young woman, and we get to see why she turns into this ruthless killer. And we see what happens to Carvel as well, and how Jessica and Arby come to be. I was completely hooked by the concept. It’s really a stand-alone episode, and a real treat for the fans." "What’s terrifying is, playing her for a full month, you can see the reasoning, you can see where she’s coming from. They’re doing it for the greater good. They’re doing it for the longevity of our species, giving it the chance to thrive. You can totally get swept up in that. But then you see the lines start to blur, you see what she has to do to make things happen. They can’t afford to have friends, they can’t trust anyone, they have to commit the most terrible acts. That makes you step back and think. But that’s the beauty of Dennis Kelly – he writes it in such a beautiful way, you’re able to see both sides of the argument." 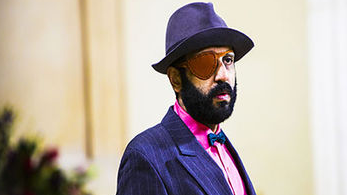 Adeel Akhtar will be returning as the excellently named Wilson Wilson. He said of Utopia's return: "The things which you liked about it in the first series are all there again. All the themes it was exploring are back again. The characters are taken further along their overall arc. It’s really interesting to see where each of the characters goes in this series. It really is pretty unexpected. It stays a few steps ahead of the audience in that sense. "The journey that Wilson has to go on in the second series is a real challenge. There was a familiarity to it, but just because there’s a familiarity doesn’t make something easier. From an acting viewpoint, this series was a real challenge. But yeah, it was nice to be back with other cast members, and to be back with Marc [Munden, the director]. 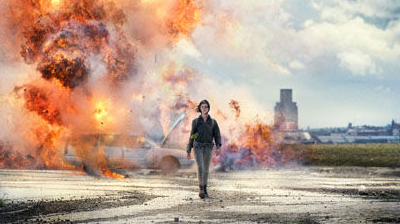 Utopia series 2 is split over six episodes.